You would think that in 2018 you could pay almost any bill online. But that’s not the case in many Latin American countries, although the process is becoming easier. While companies such as Xoom, Multicaja, and Nequi are streamlining online payments in Mexico, Chile, and Colombia, respectively, many people still find themselves queuing up in three-hour lines to pay their utilities, credit cards and other bills every month. One expat in Mexico explained how he used five different payment methods for his electric bills over ten months because the rules changed each time. So how do people keep track of their payments and wade through the bureaucracy each month to pay their bills? What happens if you send a payment late or the providers send the bill to the wrong tenant? It depends on the country. The insurtech industry worldwide received over US$2.3B in investment in 2017, a 36% increase from the year before. From 2014 to 2017, the Latin American share of the insurtech market grew from 1% to 7.6%, and the number of insurtech startups increased by 114% in 2017. This uptick is logical as insurance plays a vital role in stabilizing emerging economies and minimizing risk. Latin America is underinsured, despite steadily growing incomes over the past two decades. Currently, insurance penetration, calculated as the ratio between insurance premiums written and GDP, hovers between 2-4% across the region compared to 6.2% globally and 7.3% in the US, the world leader, in 2015. Latin America still lags behind the rest of the world in insurance coverage. As Latin America’s most developed economy, Chile is also the most developed insurance market in Latin America. Earthquake insurance is required for all mortgages and after Chile’s 2010 earthquake, a group of mostly international insurers paid out claims that reached around 4% of Chile’s GDP. 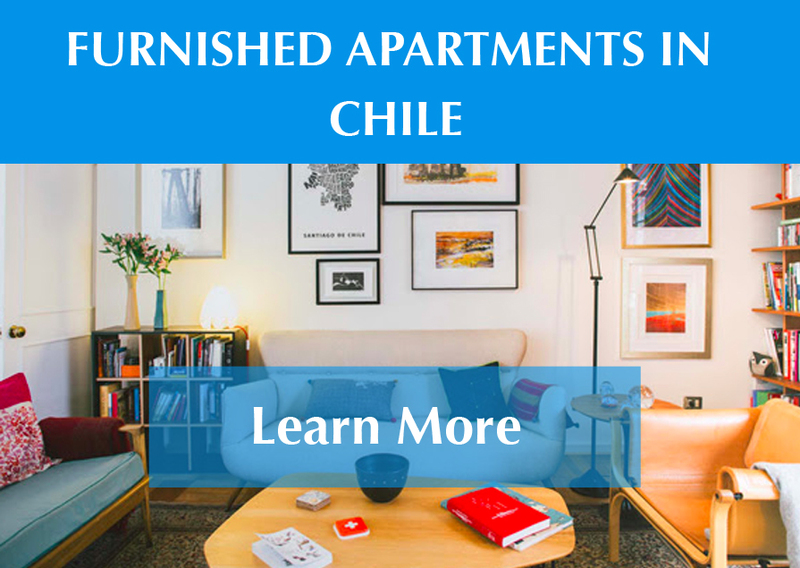 Compared to the rest of the region, Chile has a relatively open and well-regulated insurance industry. While Brazil has become a top player in insurtech, the insurance industry in Brazil is mired in complex regulations. Still, growing middle classes across Latin America have yet to invest heavily in comprehensive insurance policies for a host of reasons. Latin America’s tech ecosystem is maturing rapidly. 2017 was a standout year for foreign investment in Latin American startups, with investors in the US and China taking an interest in tech companies that are solving both local and global problems. Not only are the startups in the region becoming more numerous and innovative, but the older tech companies that started in the mid-2000s are reaching high valuations that allow them to compete globally. Over the past decade, the number of tech startups reaching billion-dollar valuations, known as ‘unicorns,’ has grown considerably. At least nine of these unicorns were founded in Latin America, concentrated in Argentina and Brazil. There is a lot to be learned from tech companies that can reach a billion-dollar valuation in a challenging market like Brazil or Argentina. What’s more, building a billion-dollar business in Latin America does not happen overnight. Founded in 1999, Despegar is Latin America’s answer to Expedia: an online marketplace for flights, hotels, rental cars, vacation packages, and cruises. Currently, Despegar is the fifth-largest online travel agent in the world and raised more than US$332M in its IPO this year. The company has a market cap of US$1.85B. Globant was founded in 2003 as a software company that helps major US and UK companies improve customer journeys through innovative technology. Since its IPO in 2014, Globant has seen its share prices quadruple with a market cap of US$1.53B. MercadoLibre is one of Latin America’s best-known startups and operates across the region as an online marketplace for goods, much like Amazon or Alibaba. Currently, the company has a market cap of US$14.08B. Movile is the market leader in all things mobile. With more than $100M in revenue and 120M users, Movile is one of the regions biggest tech companies, getting investment from Naspers. They’re also one of the most active investors in startups in the region. OpenEnglish is the leading edtech company teaching English to the Latin American and U.S. Hispanic markets. Founded in Venezuela in 2006, OpenEnglish offers live classes at all hours and has enrolled over 500,000 students in 40 countries. Inspired by Craigslist, OLX is an online consumer-to-consumer exchange platform that is used overwhelmingly in emerging rather than developed markets. It was mostly acquired by Naspers in 2010 and is considered one of the largest Internet brands to be completely developed outside of Silicon Valley. Latin America’s answer to UberEats or GrubHub is PedidosYa, an online food ordering and delivery platform founded in 2009 in Montevideo, Uruguay. German delivery company, Delivery Hero acquired PedidosYa in 2014 but kept the name. Netshoes is a Brazilian e-commerce conglomerate that acts as the official distributor for several major sporting goods brands in Latin America. Netshoes was founded in 2000 and recently made US$148.5M in this year’s IPO with a market cap of US$251.4M. Yellow Pepper was Latin America’s first mobile banking company and recently launched an innovative mobile wallet for Latin Americans called Yepex. Yellow Pepper operates in Mexico, Peru, Ecuador, and Colombia and is the first fintech company to receive a World Bank grant to advance their technology. IntervirOnline is an online stocks trading company, like Etrade or Charles Schwab, for the Latin American market. Honorable mention to Rappi, Cornershop, Mercadoni, Glovo who are battling it out for last mile delivery and have raised a total of $300M+ in the last 18 months. With Latin America’s startup ecosystem booming, it comes as no surprise that each year brings more promising startups. While Argentina and Brazil are still leaders in tech entrepreneurship, Mexico and Chile are also producing a number of standout stars that are making waves across the region. Wizeline is a software platform that helps developers and companies built technology faster. Based in San Francisco and Guadalajara, founder Bismarck Lepe is showing how technology companies can straddle both the US, Latin American and Asian markets. CargoX is the Uber for trucks in Brazil. After quitting his finance job in London, Federico Vega and team has built CargoX into $200M in annual revenue, securing investment from Goldman Sachs and other top venture capitalists and investment banks. Satellogic is a space tech company founded in 2010 to democratize access to satellite data helping us tackle global challenges more quickly. In 2017, they raised US$27M from Chinese Internet company Tencent and CrunchFund and launched their sixth micro-satellite into orbit. Archdaily is an online platform covering architecture news, events, interviews, products, and competitions – catered to architecture professionals. They are the largest architecture website in the world in English, Spanish, Portuguese and Chinese. Psafe develops apps that maximize mobile security, privacy, and performance. With over 100 million installations and 20 million monthly users, Psafe is the largest cloud-based mobile security platform in the Americas. In 2013, Psafe raised a US$30M Series C Round from Qihoo 360, Redpoint e.ventures, and Pinnacle Ventures. Nubank is the leading digital financial services company in Brazil, providing online banking solutions for Brazilians through a “no-fee” credit card that is managed through a mobile app. Nubank raised a US$80M Series D round led by DST Global in 2016 and recently opened an office in Berlin, Germany and then joined the unicorn club with another large round of investment in 2018. 99 is Brazil’s second popular rideshare platform that operates much like Uber or Lyft. In January of this year, China’s platform Didi Chuxing acquired 99 for a reported $1B. Etermax is a mobile game development company that created the viral game Trivia Crack. Etermax is considered a pioneer in the Argentine mobile game industry, bringing attention to tech entrepreneurship in South America through addictive games like Trivia Crack. Trivia Crack itself caught on first in Latin America, then went viral in the US with 65 million total downloads – 50,000 a day in the US at its peak. OmniBnk, formerly Portal Finance, is a Colombian/Chilean fintech platform that helps companies with invoice backed financing. Omnibnk works with large financial institutions and small businesses to help them finance their working capital needs. While many of Latin America’s top startups are still coming from traditional hubs like Argentina and Brazil, countries across the region are producing exciting, innovative companies that are gaining global attention. This is not a fully inclusive list and there are many many more companies that deserve to be highlighted. Who else would you put on this list?